This fun design looks like an old-fashioned ink stamp. 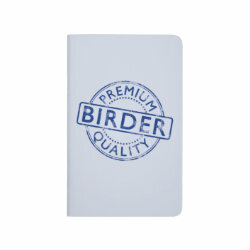 The "stamp" is done in an inky blue color and the overall design has been distressed More... for a vintage look. 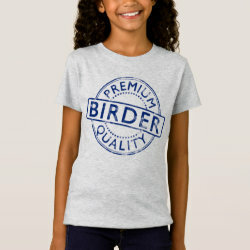 The circular text reads PREMIUM QUALITY while the inside reads clearly: BIRDER. 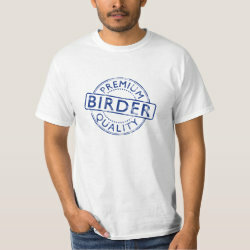 This is a fun original design for any birdwatcher! 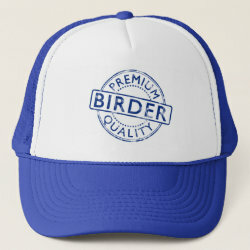 This makes a great gift for your best birding buddy, especially if s/he really knows her/his stuff!